With promotion to London Division 1 South also came the need to increase revenues. 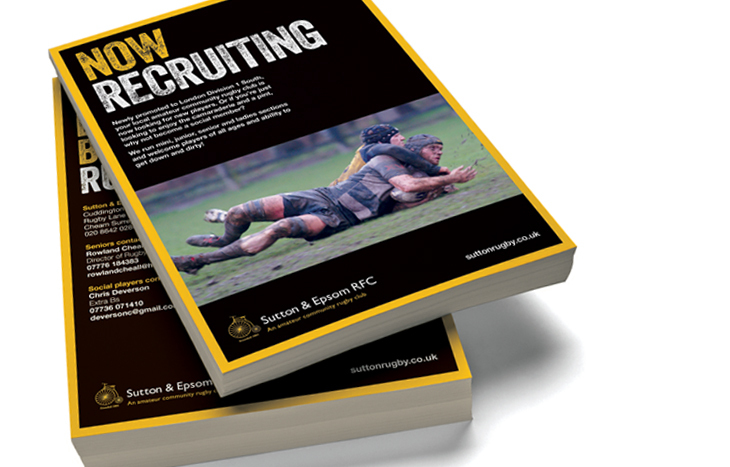 Sutton & Epsom Rugby Club asked us to look at their whole internal and external communications structure in order to attract new members, better inform members and visitors of news and events and attract new sponsorship deals. H&B have really helped the club up its game. Free drinks for life – that’s what I say! We have planned, designed and implemented a whole new programme of marketing communications for the club. From the new website with full CMS for easy updating, the introduction of social media, to marketing packs aimed at potential sponsors, match day programmes and member newsletters, to promotional event posters, we continue to live, love and bleed rugby! Both members and visitors better informed of news and events, the club is busier, more vibrant and community-minded, which in turn has led to increased revenues and sponsorship deals. Perfectly sums the club up! A completely user-friendly and visually engaging design solution for what is a very content-heavy site. The main challenge was building the back-end CMS to include intelligent dynamic fixture widgets that make it easy to update fixture lists, match results and match reports for 25 teams, through minis, juniors and seniors to the 1st team, as well as quick and easy posting of current news items and club events. 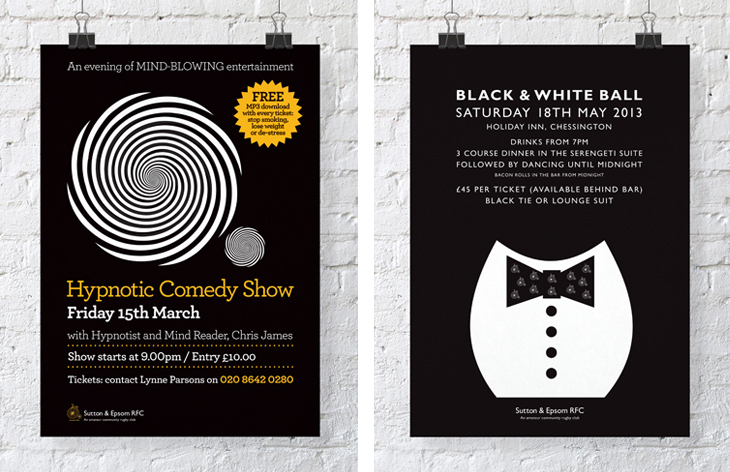 Promotional posters all feature the club’s penny farthing motif in one guise or another. 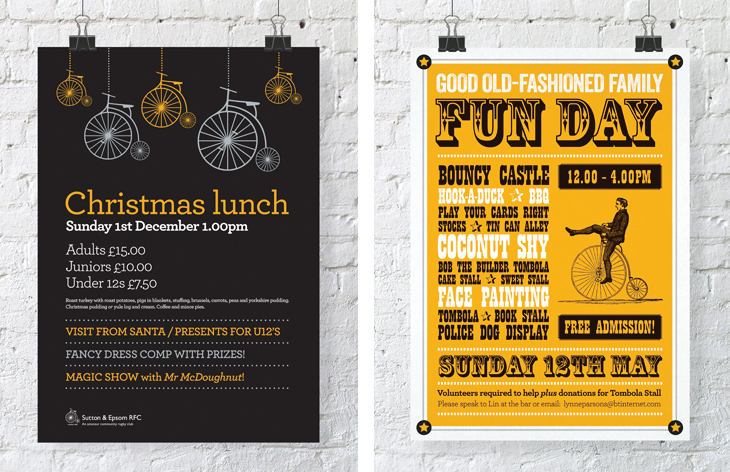 Sutton & Epsom was originally founded as a cycling club in 1881.